SEOUL, Jan. 10 (Yonhap) — A special investigation team looking into a massive corruption scandal surrounding President Park Geun-hye and her friend has secured a tablet PC used by the confidante that has evidence related to financial support Samsung gave to her company, its spokesman said Tuesday. Chang Si-ho, the niece of Park’s jailed friend Choi Soon-sil, has voluntarily submitted the tablet, spokesman Lee Kyu-chul said. “On the tablet PC there were a number of emails related to the establishment of Core Sports International in Germany and funding from Samsung, as well as a draft version of the president’s speech for a meeting with senior presidential aides on Oct. 13, 2015,” Lee said. Samsung Group allegedly struck a 22 billion won (US$18.3 million) contract with the company owned by Choi and her daughter under the name of a consulting arrangement to fund the daughter’s equestrian training. 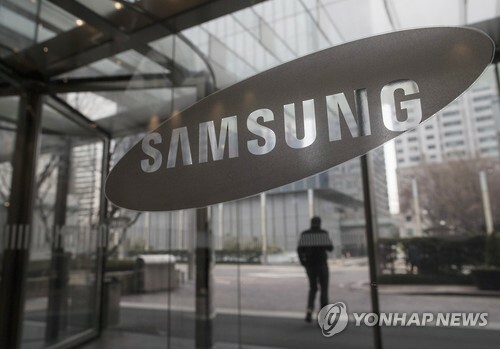 Investigators are looking into suspicions that the contract was signed in return for the state-run pension fund’s backing of a major merger deal between Samsung subsidiaries in 2015. There have been allegations that the state fund was pressured by the presidential office to support the merger in return for favors Samsung gave to Choi. Moon Hyung-pyo, chief of the National Pension Service, has been taken into detention over his involvement in the alleged irregularities. “The person who submitted the tablet PC said it was used by Choi from July to November 2015,” Lee said. After analyzing the email account, user name and other information, the probe team concluded that the gadget belongs to Choi, he added. Choi’s side, however, claims that the tablet PC submitted by Chang does not belong to Choi. It demanded that the allegations of the gadget belonging to Choi be verified. The ownership of another tablet PC found by a local media outlet, which ignited the scandal leading to Park’s impeachment, has been continuously debated, as Choi has said it does not belong to her. “In case of the tablet PC (provided by Chang), we had no procedural problems in terms of obtaining it and thus we think there is no problem regarding its admissibility as evidence,” Lee said. Meanwhile, the probe team detained Professor Namkung Gon at Ewha Womans University in Seoul over allegations that he used his influence to help Chung Yoo-ra, Choi’s daughter, enter the school. The professor used to be in charge of admissions for the school. This photo, taken on Jan. 2, 2017, shows the logo of Samsung Group at its main office in southern Seoul, as the nation’s top conglomerate is reportedly bracing for a probe by a special counsel over allegations that it offered bribes to the woman at the center of a widening corruption scandal in return for business favors. We cannot trust traditional email anymore. Binfer on the other hand bypasses cloud storage servers making it very safe to send secure email. Check it out: http://www.binfer.com.